[ARCHIVED THREAD] - Recommend a automatic watch, 37 - 40 mm. Black dial, Trit hands. I'm looking for an uncluttered clean face black dial w / well defined, Tritium Arabic or Roman 12, 3, 6 and 9 hour ticks ,Tritium hands and synthetic Chrystal. Can this be done for less than nine hundred dollars? Forget Rolex, had a couple, mucho sucko. I'm going to be nice this year. Not tritium but I like mine. "Good people sleep peaceably in their bed at night only because rough men stand ready to do violence on their behalf." The 1833 Atacama Field Day/Date Watch looks good. Any Idea on case size? I looked it up, 42mm. Edited to add, Ninja dude had it covered. The 1833 Atacama Field Day/Date Watch looks good. Any Idea on case size? You may call me "Tarheel"
I got one for Christmas, pretty happy with it. Leather band hasn't even gotten stinky yet. I can understand not liking but mucho sucko?! Hardly. This watch Company is still in business, offering "Pilot" watches. Might anyone remember the thread? Stop posting threads like this, they make my wallet hurt. 583, the Luftwaffe watch is also at the link I posted. Just kidding. Very cool site. Thanks. I already has the tritium, but i loves it. and the Christoper Ward Malvern C5 although it doesn't appear to have luminescent hands. I'm lusting after a tritium watch, but do they really need to make them all with such large cases? 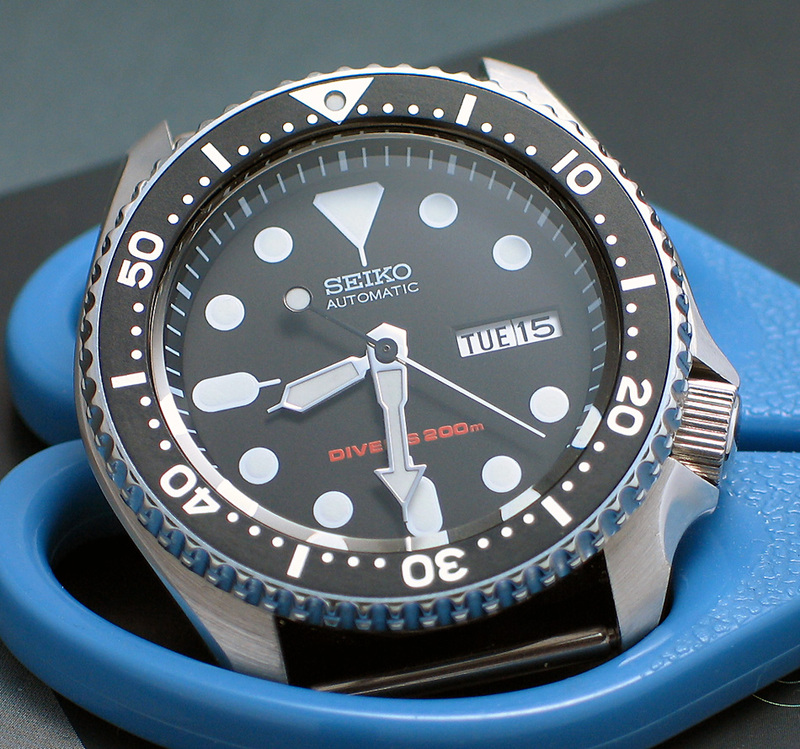 I am partial to Seiko divers. I own the following and love them all. 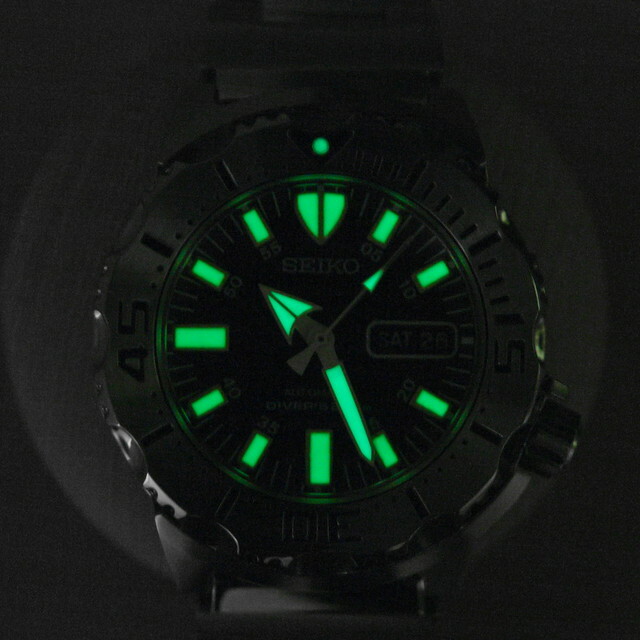 They don't have tritium hands, but the lume that they use glows much much brighter than tritium after a short "charging", lasts for hours. They also have a new line of "Monsters" with teeth! "Mr. President, before your SS takes me outside and beats me, does the Wookie ever let you hold your own testicles?" OP, try this website for the desired information in which you seek. Oh Lord please forgive us, when we doubt. If I'm thinking the same one this was the website. They have a mid pilot watch that's 39mm but damn if it's ever in stock. ETA: I've also kept an eye on some of the sites watchuseek's forums talk about like these guys. Thanks for the link, this one will do. I wish this was available in auto, the luminescence is perfect though. Not tritium, but lum paint on all 3 hands, and the dots outside hour markers. hard to get a good picture of it though. I see that your opinion is flawed. I have no recommendation for you other than a Timex. 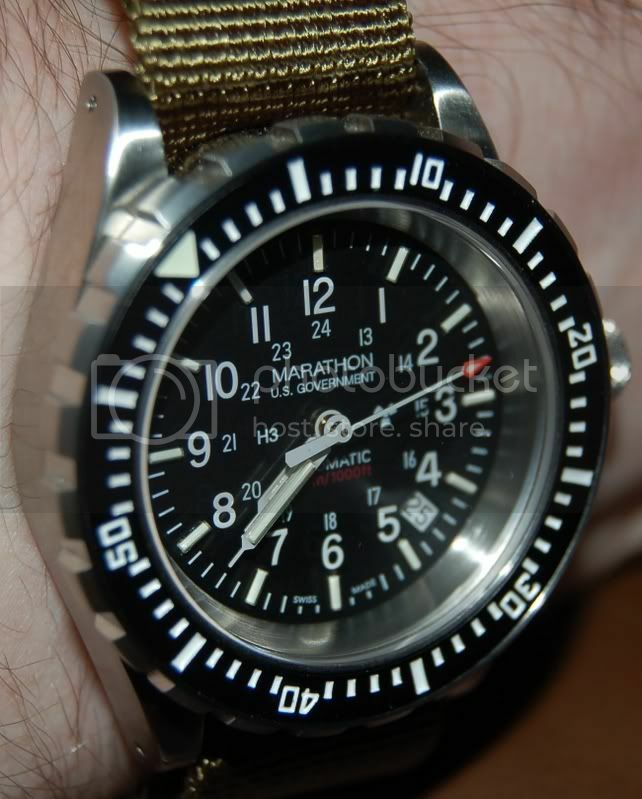 I need to send mine in to be refurbed on the outside (new BEZEL Ring) I've worn the markings off it.